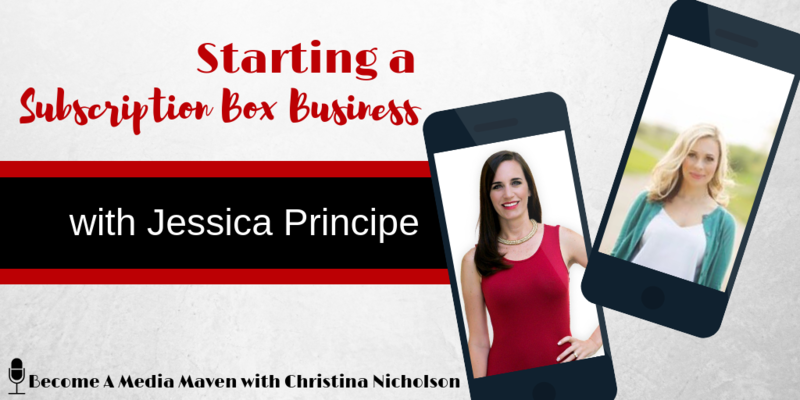 In this episode, Jessica Principe is going to walk us through how she created a successful subscription box business – from an idea, to execution, and now scaling. Jessica will teach you her very unique and proven system to get the business off the ground before one subscription box was even mailed out. She talks about building a firm foundation, focusing more on keeping subscribers than anything else, and the biggest mistake she made at the beginning so you don’t make it either. I am so intrigued by your business because one, it is a subscription box which is super fun and two, the brand is just super cool. You have All Girl Shave Club, so tell everybody what that is. All Girl Shave Club is like you said, a subscription service and an online boutique where we feature really fun, unique female-focused shaving, grooming, and body products and it’s really just designed to make self-care and grooming convenient, beautiful, and fun. So the idea came to me kind of organically. I was working full time in a business that my mom had founded while I was in college. And so I had always had a passion for small business for entrepreneurship. All of those things like just really appealed to me. And so when I had the opportunity to come work for her, it was a great, great experience because I was able to kind of help her build the business and, and build her dream, you know, watch that kind of come to fruition. I loved being in the environment of small business and the fast pace of entrepreneurship. I didn’t have the passion for the company itself. And what was her business, it was a vocation that trained nursing assistants and she’s a nurse and so she had all of that clinical scale, but she didn’t have the business background and that’s what I got my degree in it. So it kind of was a good natural, a natural pair there, you know. So we built that business and it was great. But I just started feeling like I wanted something of my own, like, you know, I wanted to have a business of my own, but I just didn’t know what that was going to be and it sounds so funny, but I, you know, I knew I wanted to have a business. I didn’t know what it was, but I started saving money anyway. I knew that I wanted to be prepared for when the right opportunity came around. For about three years, my husband and I kind of just, we’re saving money and I was exploring different opportunities and still working full time for her. And then the idea for the business just came to me. So organically out of the blue, I was getting ready to shave my legs. Something that I totally did not enjoy, you know, just the process. And I thought to myself, you know, you’re a natural problem solver here, Jessica, how can you make shaving a little bit more fun? I’m thinking to myself about all of the different ways that I could kind of make it better for myself and then it was kind of like, a vision of all of these things coming in my head at once, like, ‘oh my gosh, maybe you could do this and maybe you could do that and is this something you could build a business around our other women suffering from this same problem and you know, how could you make it better for everybody?’ And so that’s kind of where it started. And I shared the idea with my husband and he was on board and we kind of went from there. Okay. I have a couple of questions about that. So the idea came to me in about May of 2016. No, my business is still very new. We are only in our second year right now. And now you are a product based business. You are a subscription box and I’m a service based business and product based businesses scare me because you have to have more of an investment up front and you just have, I feel like you have a lot more to deal with than you would have with a service-based business. So tell me like your fears and your thoughts around getting started with a product based business. So that was definitely a fear of mine too because you know, working for my mom’s company – that was a service-based business. It was education so we didn’t have a whole lot of overhead and I didn’t have any experience in product based business in e-commerce, in subscription commerce. This was completely new for me. Zero, zero, zero experience. I can’t stress that enough. What I learned is, you know, we can go, I can, I can research for days and all of the information that you need about anything – you can literally do anything because all of the information is available to us with WiFi. So if you don’t have Wifi, go to the library, your library has WiFi, but you can literally have access to any of the information that you need to start any type of business. But of course, there was a lot of fear around it because it was so new for me. I just kind of tread very carefully and I was, I was cautious in the decisions that I made and I ran a pre-launch before I launched the business to really test the product market fit before I invested a ton of money into it. How did you do the prelaunch? How did that work? It was about six months or so of research, just kind of developing my idea, developing the concept, how I wanted the business to look and take shape, and all of that. And then that’s when I started pre-launch. What I put together was just a basic landing page. It kind of talked about what All Girl Shave Club was – the products, the service, the subscription, all of the different things that they could experience or expect to experience with All Girl Shave Club. And it left the opportunity for them to leave their email address if they were interested. So I didn’t sell anything. I didn’t ask them to follow me on social media. It was literally just to collect email addresses. And then once I had email addresses I was able to nurture those people and find out, you know, what are they looking for, what do they like, these different products that I have in mind or were they thinking something different? It just gave me a kind of like a, a gold mine of information of customers, potential customers so that I could really shape my business to be exactly what they’re looking for and hopefully even exceed their expectations. And also it helped to kind of like create a sense of, um, of a relationship like that know, like, and trust factor. They were kind of invested in my business because they were with me from the beginning, you know. So when we did launch, you know, I had that, that audience that I was ready to launch to. I have two questions about that. How were you driving traffic to the landing page since you were starting from zero and how long did you nurture those people? So a lot of people think that they can’t launch a product based business without having prior experience being a blogger or something like that. Like already having an audience. I again was not an influencer. I was not a blogger, I didn’t have any built-in audience. So I shared my landing page. First of all, I used a platform called Kickoff Labs, and they had a share feature built in. So basically I was able to set up a reward system so it incentivized people to share the landing page and they would earn rewards for every share. And for everybody that signed up off of their unique link, they would earn reward points and those points can be redeemed for coupons, for an extra product, for their chance to win a free three months subscription. There were a whole bunch of different levels. And so that helped to incentivize and, and then I just started sharing it like organically within my network, so within my Facebook page, my Instagram page, and then I was also part of a mom’s group. A bunch of women who all had babies around the same time on Facebook and you know, they were kind of invested in the business with me because they were there from the beginning. I would share, you know, this is what I’m thinking of doing. When I launched my pre-launch, all of these women, there’s like 500 women in the group, they all started sharing the page too because they were excited for me and they were kind of wanting to support me. And so that kind of gave us some traction. When other people would share, of course, that kind of started to build the momentum of building that email list. So it was really very organic and social media really helped. And how long were you doing this before you actually went to launch? You have the nurture part, I guess you had the testing of your market. You have the nurture part. How long did that take until you’re like, ‘okay, I’m in business. This is it’. Yeah, that was actually one of the turning points for me was, um, when I was building that email list when I was testing that product market fit and making sure that I had a viable idea that people would actually buy into. Um, I felt like I knew from my research that about 10 percent of our email list would convert to paying customers. And so it was my goal to get to at least a thousand email subscribers before I launched the business. This was about October when I first started the pre-launch. I realized very shortly in about a month and that the list was growing and that people were joining that weren’t my friends and my family emails. I didn’t recognize and then they were growing faster and faster and so I really felt like once I hit that 1000 email list mark, I, I knew I had legs and that I think I thought that business definitely could, could survive a launch. And so we launched December 28th, 2016. So it was about three months. And then tell me what the launch looked like. Did you send everybody an email and say, ‘hey, we’re in business.’ How does that look? Pretty much but in a little bit different fashion. Yeah, we got them really excited about the launch week. We did a countdown and so people were following us on social media and we were driving traffic at that point then to our social media accounts and we were doing a countdown. So every day for the three days leading up, know it was three, two, one. And then we granted our email subscribers early access to the launch so they were able to purchase when we launched on the 28th and then we opened it up to the public on January 1st, so they kind of got exclusive access and yeah, we just did it all by email and it was really successful. My goal was to launch with 100 subscribers. I just wanted at least 100 and we definitely blew that out of the park. We gained way more than 100 within the first month. So it was really awesome. What is All Girl Shave Club? So tell me price points, how much is a subscription or a membership, for how long, and what do people get? So we have a couple of different options, but by far our most popular option is our discovery products package. And basically, that can come with or without razorblade replenishments. So if you know someone already has a razor that they really like or they don’t shave very often they would receive, they can elect to receive the package without razors. But basically, along with the razors, it comes with a jar of our shave butter, which is our secret and our secret superstar product. It is amazing. It hydrates and nourishes your skin while you’re shaving, so your legs don’t feel like sticky or dry after you’re done. I really love it. And it comes in a variety of scents. So, they’ll receive a jar of that every cycle. Our cycles are every two months. 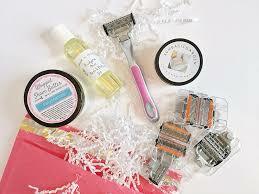 And then, in addition, they receive two to three other unique female-focused shaving, grooming, or body products. So they, they change every cycle. So it’s kind of like a surprise every cycle. But all things related to self-care and grooming. So you launched at the end of 2016, kind of the beginning of 2017, and you were nurturing people. So how are you continuing to not just keep people who are subscribing but also get new people in? So once we launched, we were, we were done collecting email addresses on our landing page. We converted to our actual website and we were driving traffic to our website. Retention obviously is a really big thing to focus on when you’re running a subscription-based business. So that was really important to me for me as a new business owner, as a new subscription owner, and as a new e-commerce owner, it was really important for me to build a firm foundation of my business before I focused really heavy on marketing. I wanted to make sure that I was really meeting the expectations, exceeding the expectations, and delighting my customers. Um, and so that was really important. I spend a lot of time just providing exceptional customer service and really just connecting with my customers and making sure that, you know, they were, they were happy with the products and that they were having a good experience and also building up my business legs, understanding the rhythm of cash flow and the rhythm of the subscription cycles. That’s where I really focused in the beginning, I would say the first three months, and mind you, I was also working full time so I was trying to really just kind of balance everything. Um, and then after I felt more confident in, in that and that I was meeting the needs of my customers and that, um, you know, I, I felt like I had a, a good grasp on the rhythm of the business. That’s when I started to kind of introduce more marketing in the form of a referral program and working with influencers. That’s kind of what we did first. Okay. I want to talk about that, but first I want to note something that I’m hearing and I think it’s important because I feel like a lot of people, they get so excited and they just want to do everything and they have that shiny object syndrome. But it sounds like you were super strategic and you did things slowly and you were like, ‘okay, I want to make sure this is done perfectly before I move on to the next’. Because a lot of people just go straight to marketing because that’s the last step. So tell me where that comes from. I actually think in the beginning it kind of came out of fear to be honest. I was just a little bit afraid. I didn’t want to take on more than I could handle, but I think that it served me really well because I think I’m just more of a practical person in general. Um, and my husband also, he, he is even more practical than I am. So he really encouraged me to do that. It’s important to make sure that we do have a firm foundation in our business is before we go crazy because we want to make sure that we can keep up with the not only the demand but also keep up with the excellent service and the experience with our customers. And did you ever feel the need to like, ‘oh I just want to do this’ or were you ever like in a rush? I feel like a lot of people they want to rush and they want to hit a certain amount by a certain time because it makes them feel special and they can post it on Instagram. And really it’s like that’s the only thing they care about. So tell me how you really maintained a strategic and more focused outlook. So you could, I guess go slow to grow. That’s actually important because it helped me to prepare for this goal. If I can have all of these systems in place and I can have everything, you know, really ready to go when I’m ready to scale every, the scale will be much easier for me. I was working full time at the time so I worked full time for my mom’s company for the first eight months of my business and so juggling that and also my business and my family, it was just important to me to have everything super organized and to be able to have those processes and systems in place so that when we were ready to scale, which we started doing, you know, about nine months in, it was much easier for us to handle and much easier for us to grow. Okay. I love that. I think that’s super important for people to know because so many times people want to go do the fun stuff. Yeah. And it can be, you know, when you see other people especially doing this sort of similar things that you’re doing in there, you know, killing it and you’re like, ‘oh my gosh, like I should be doing that too’. And it can really like kind of take over your mind. But I think a firm foundation will always serve you well. Why did you not just go to products? Why did you choose a subscription box? I’m a subscription box junkie. I’ll be honest, like I subscribed to so many different boxes and so I loved the novelty of getting something in the mail that I, that I didn’t really know what it was. It’s kind of like a gift for myself and I love the experience of unboxing it and experiencing the new products and things like that. So that was important to me to incorporate into my subscription business. That’s really where the idea came from. You know, now we have, you know, people can just buy razors or just to shave butter, but I really wanted to pair the novelty of those really fun unique products and the discovery of new brands and products with the replenishment. So that’s kind of how I built the business. I like it and it’s easy because you don’t have to leave your house. It just comes to you. It is and isn’t it fun to get mail that is exciting and fun to open and it’s so unique as I feel like there’s a lot of beauty subscription boxes. I thought, in the beginning, I could cast a wide net and I could just reach anybody who shaves, but it’s really not like that. I’m finding that you have to really niche down and focus on the women who really have been shaving a long time who are tired of it, who wants to really incorporate self-care in their daily grooming routine. So I think the more niche we go, the better the better we are and the more success we could have. And then I started getting angry because I was, I was telling her my story of how I’ve had laser hair removal on my legs like a million times, but I still have to shave every once in a while because it doesn’t get at all. And she goes, ‘oh my gosh, you need to have Jessica’s All Girl Shave Club subscription box sent to your house because she actually makes it like a fun, enjoyable process. That is so funny. She’s so funny because, you know, she has actually Voxed me one time and she had this, this, this concept that was just so funny, but it was so relatable and so true. She was like, you know, ‘I have to shave every single day because it sets the tone for my day’. She’s like, ‘if I shaved my legs, you know, I feel really good and I feel really confident and I feel like I want to go to the gym and work out and if I go to the gym and I work out, then I feel like I want to eat good foods and make good choices for my body’. And she’s like, ‘and it just keeps going on and on’. I just, I love that because, you know, I agree that as, as women, you know, we really, we really do juggle a lot of things and it’s important for us to take a few minutes a day to just kind of nurture ourselves and enjoy a few moments of like intentional self-care, whatever that means for us. So this is a great way to be able to do that. Now, did you make any mistakes along the way? I think the biggest mistake that I made is just kind of in the beginning, just kind of like letting fear take over and that’s, that can really hinder me. It really did hinder me for a long time. I think I could have launched sooner. I think I probably could have been a little bit more aggressive, but I was, I was afraid and I had to learn to deal with imposter syndrome. I had to learn to deal, deal with the fact that fear is our body’s natural response to the unknown and you know, that was hard. I was coming from a position where I was super confident in my work. I knew exactly what to do. I knew how to do it. I was leading teams. I was, you know, very confident in what I was doing. And so switching gears and doing something completely on my own, I was responsible ultimately at the end of the day for the success or failure of the business. That felt very heavy for me. And so being able to push through it was, was very challenging for me in the beginning. I was afraid of a lot of things, of failing, of being embarrassed that maybe I try something new and I don’t, I don’t do a good job or you know, wasting money that we’ve saved or you know, all of those things, you know, when you, when you run a business, especially a business like mine, there’s a lot of attention that comes with that. I didn’t want to make any, any mistakes or make myself look bad in any way, but I realized, you know, I had to get over that. I had to accept the fact that I’m human and that I will make mistakes and people will either understand or they won’t. And that’s not up for me to worry about. People are afraid of failing and afraid of people seeing them fail. And then they’re also afraid of wasting money. And I do think that’s why a lot of solopreneurs or new entrepreneurs, they wait so long or they try to just soak up everything they can online for free and they’re not strategic and I think they all need to get over it. And you did. So tell me how you got over it because it’s a lot easier to say than do. So I got my idea in May. It was about July, so a few months into my, my intense research, I was thinking, oh girl, you can’t do this, like who are you to do this? You know, you don’t have the experience, you don’t have the expertise. There are very, very big competitors in the space that have lots more resources and reach than you do. Like what are you thinking? And that was this like real playing on my head over and over and over again. And it was really paralyzing me. And so it was about that time that my husband found this event called Business Boutique and it’s run by Kristi Wright. I went down to her event in Nashville. He sent me there. He was like, ‘you know what, you’ve got to stop this. You’re, you’re, you’re driving me nuts and we need to find a way to get you through this’. So he sent me down to Nashville and I attended her that. And it was like she was speaking directly to me. Everything she was saying, she was talking about imposter syndrome. I didn’t even know that was a thing. Like I didn’t know that was an actual thing, but I just felt like I was kind of alone on my own island here dealing with it. But she talked about imposter syndrome and how, you know, we, we all, we all go through this. And fear is, like I said, our body’s natural reaction to the unknown and that, you know, even if you have to do it afraid you have to do it, you know, you just have to push through. And so that event really was a turning point for me. I left there, really inspired, really on fire and I felt like I had given been given, you know, confidence and, and permission to just push through even if I had to do it afraid. And I did a lot of the times. I did do things afraid, but I did it anyway. I am in a mastermind with Dr. Shannon Irvine who also spoke at the Boss Mom Retreat where we met in person. Yes. I spoke on day one and she spoke on day three. She is a Ph.D. She helps entrepreneurs with their mindset and she is constantly saying that when you are afraid to do something or when you just feel held back for one reason or another, that is a sign that you are supposed to do it. So if you’re afraid, then you have to switch your mindset and be like, ‘okay, I’m afraid I don’t want to ask this person this. I don’t want to post this. I don’t want to start this’. Whatever it is. If you feel that fear, you need to do a180 and say this means I’m supposed to do it, I’m going to do it. I also learned from my first business coach, you just have to take your feelings out of it. When you are growing your business, you have your list of things to do. Those are things you have to do. You don’t feel them. They’re not emotional. It’s business. So when you are afraid of something like sending people to your landing page at the beginning you have to say, ‘this is just a thing on my to-do list that I have to just cross off so I just have to do it’. And you really don’t even take time to think about it, to feel emotion. If you are feeling that fear. If we’re working for another company or not, that’s not our own. We’re not afraid to do those things because you know, we don’t have the feeling involved. It’s just our job and we have to do it, you know, when we’re working for ourselves, it kind of puts a different spin on it. So I love taking that approach and just not feeling. Let’s go like logistical here. Where do you keep it all? Like how does it actually operate behind the scenes? Because again, I’m service based, like I am a person, I have people on my team, I don’t have a bunch of staff. So how does it all work? I am very fortunate that we have a very, very large unfinished basement in our home and so we converted that basement into our warehouse. We have industrial shelving and equipment and everything down there that we need. I did a podcast episode on how to make money from home because everything that I do is from home and there are many people who they could have an office, they choose to have an office because they liked the look of it. But honey, we are saving money by lowering our expenses by doing this all from home. It’s so true. And, you know, one of the reasons why I wanted to run my own business is because I wanted to have the flexibility to be here when my kids got off the bus and to send them onto the bus, like I wanted that flexibility. So I’ll be sad to be honest, the day that we have to move out because I really love having it here. Why do you have to move out? Because you’re growing like crazy and you can’t have enough subscription boxes in the basement anymore? Well, you know, something like that. Yeah. Let’s leave people with some tips and maybe an action item on what they could do to start building a successful product based business as you have. Knowing your margins is something that’s really important. So making sure that you’re really comfortable running the numbers and that you’re able to protect your margins. You want to have at least a 35 to 40 percent margin on your product. So that’s one thing. If you’re thinking of starting a subscription box business or a product based business, I have a checklist on my website that will kind of take you from dream to launch that you are able to download for free on JessicaPrincipe.com.